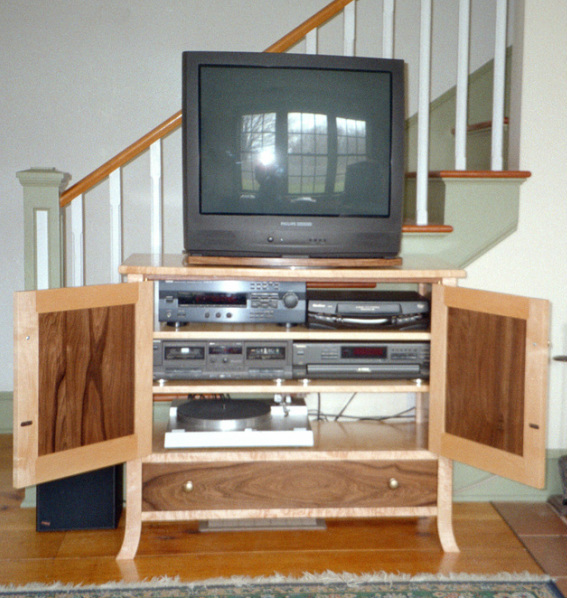 Maple and walnut TV/audio cabinet. 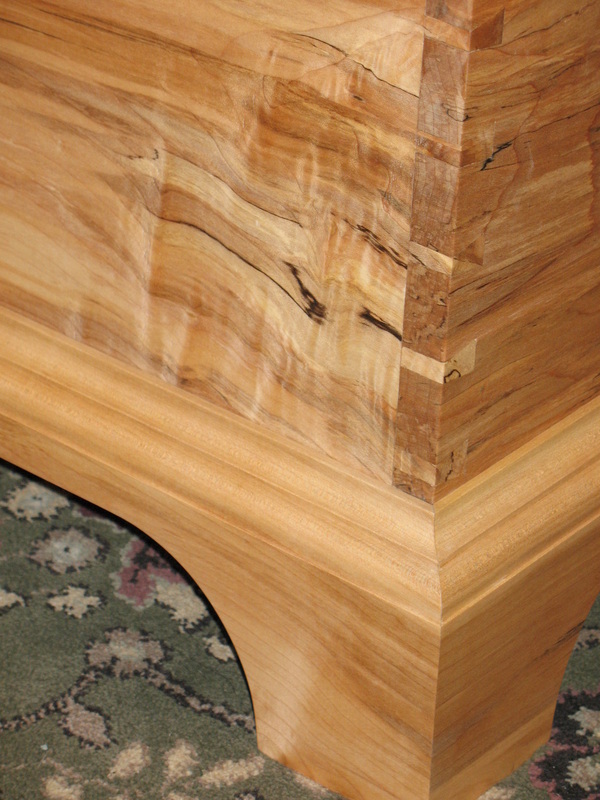 Brusso knife hinges, bowfront top. 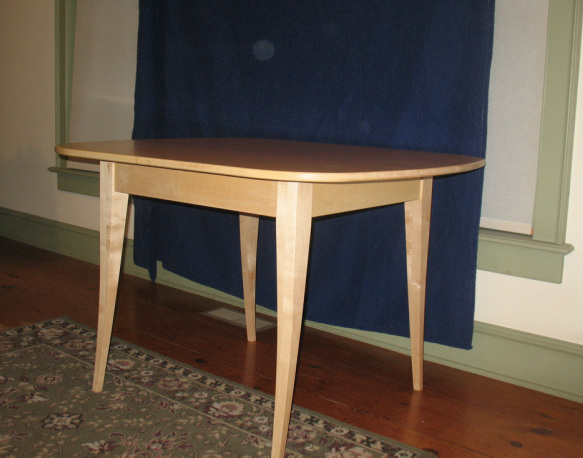 Mission style bedroom table. 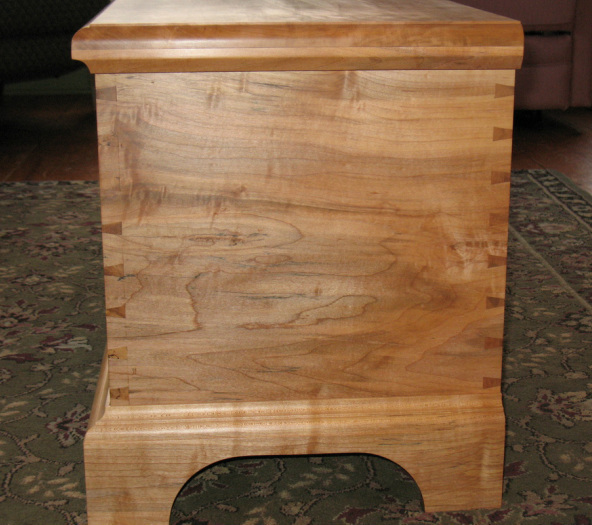 Spalted sugar maple with a tung oil and wax finish. 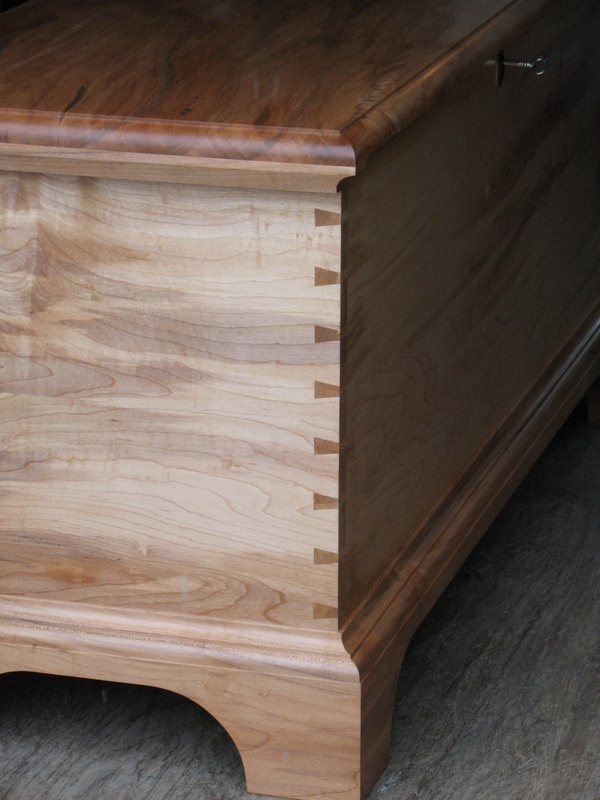 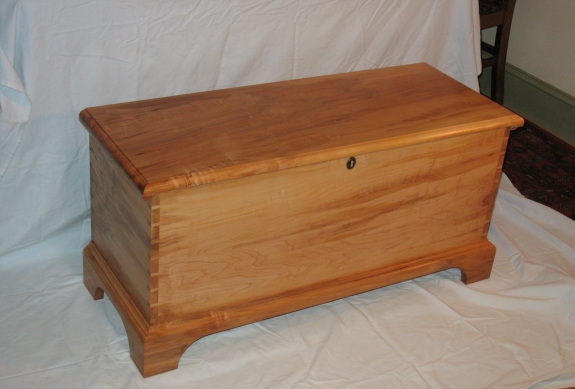 I built two of these blanket chests for two young men as a gift from their mother. 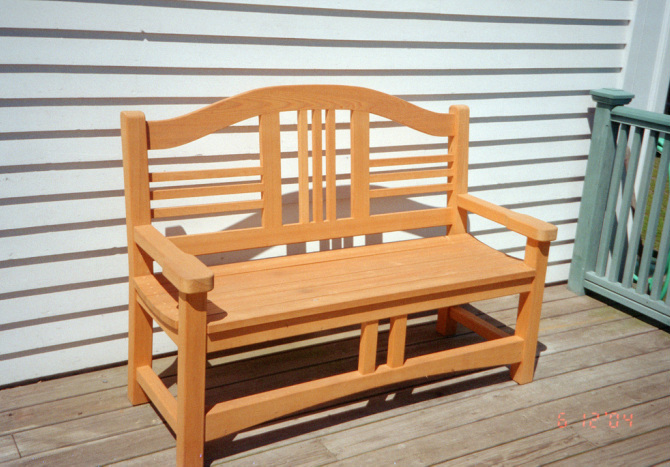 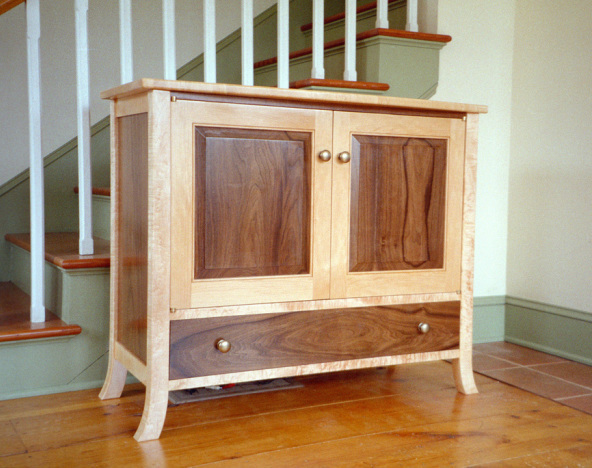 They were made from a well loved sugar maple that grew in their front yard. 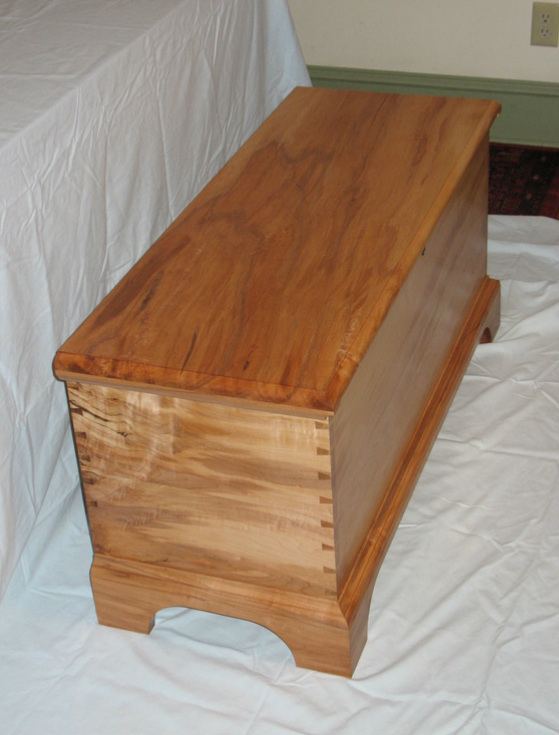 Hand cut dovetails, tung oil and wax finish. 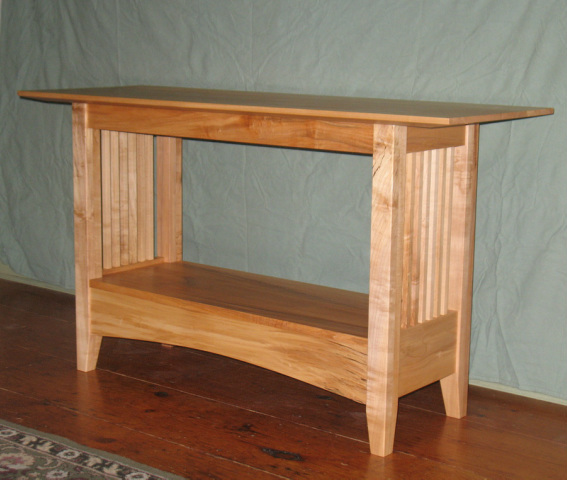 This is all cherry, and became a sink stand for one of those fancy hammered copper bowls that sits above the counter. 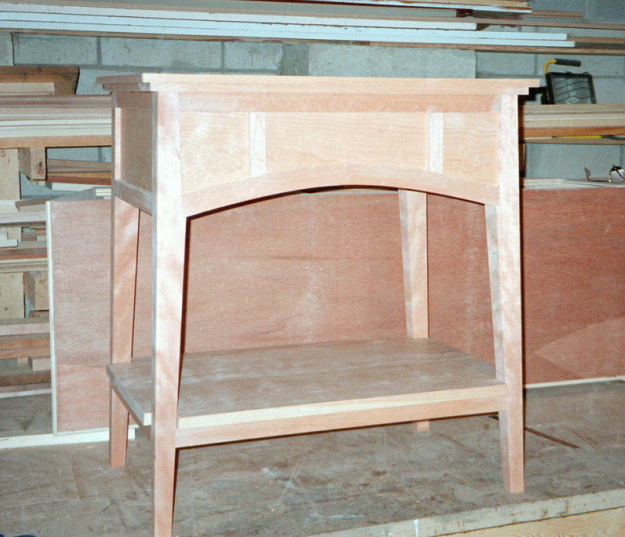 No finish on it here. 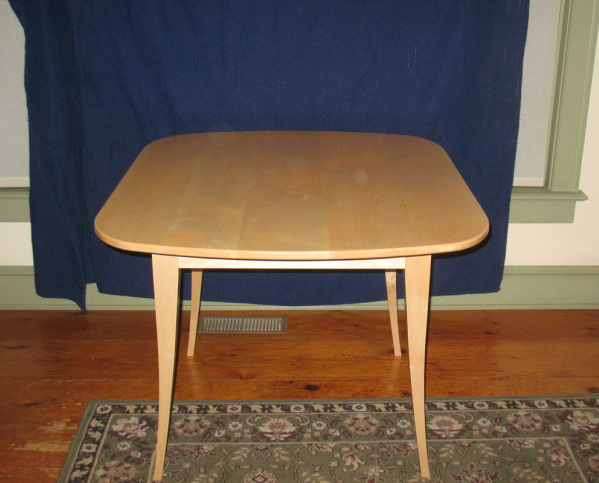 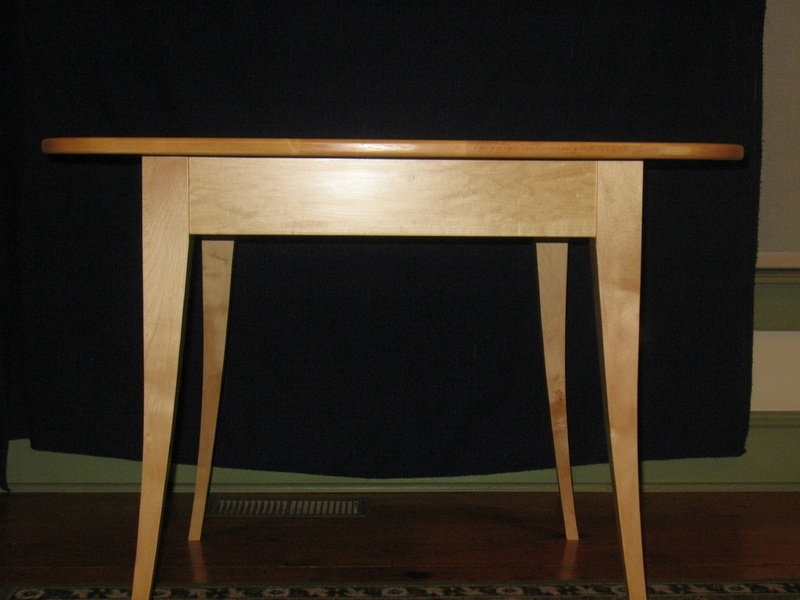 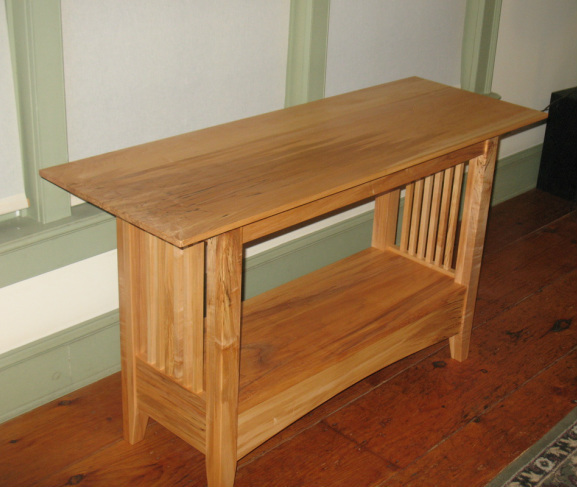 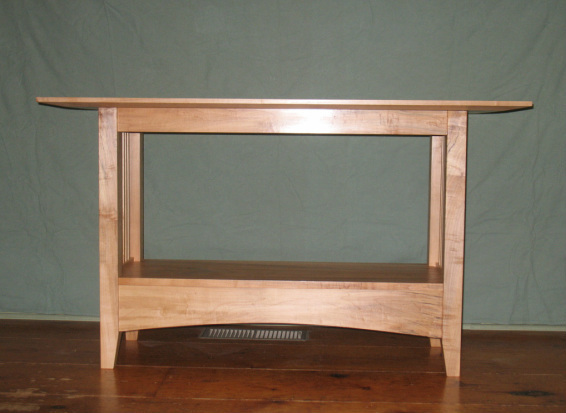 A kitchen table of hard maple, sized to fit an alcove in the customer's kitchen, and made from the same batch of wood as the kitchen cabinets.